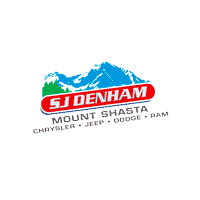 At SJ Denham Chrysler Jeep Dodge Ram, our used cars are in excellent condition, as each one is thoroughly inspected. Therefore, Redding drivers can have peace of mind knowing they are getting a high-quality vehicle when they shop with us. Browse our extensive inventory of pre-owned cars for sale, then visit our dealership near Redbluff to set up a test drive today! Why Shop at SJ Denham Chrysler Jeep Dodge Ram For a Used Vehicle? Value your trade and estimate future payments with our easy-to-use payment calculator. Then, visit our dealership to see our inventory of models in person. When you find a vehicle you are interested in, you can apply for financing online!